Are You A Hoarder? When Clutter Becomes Hoarding. Home » Organizing » Are You A Hoarder? When I was growing up, there was a branch of my family tree we called “Pack Rats”. That was the term back then. Mail was always piled up. The dust rested like snow atop every surface. The carpet was a wasteland for substances only known to God. And peppered around the home were collections: cookbooks, knick-knacks, supplies. It was an interesting place to spend time as a kid, but as I got older, it became frightening, even embarrassing. The first time I brought my now-husband to a family celebration at my extended family’s home, I said “please don’t judge me by my family”. That wasn’t because I thought my family would make a bad impression or they weren’t welcoming. No, they were the biggest-hearted, most welcoming, loving people I’d ever known. But bringing someone into the home was embarrassing. How would preserve everyone’s feelings while gently telling him where he should and should not sit and what he should pass on and why the bathroom had no floor. I worried that he would think that was me and that I felt it was an acceptable way to live. And then I felt guilt, that I was a horrible person to think that the living situation of people I loved deeply was so unacceptable. Is it genetic? Am I a hoarder? I could definitely see where I had some hoarder tendencies: I sometimes let the mail pile up (like, really, embarrassingly pile up); I couldn’t let go of things because of sentimental value (even when those things were now gross and had no useful purpose); and I sometimes felt overwhelmed when faced with sorting through things. My life was organized, yes, but I frequently lived among bins of things that I had “organized”, but truthfully were useless, cluttery, hoards of sentimental things that I couldn’t part with. It changed my life, really. I became semi-obsessed with learning about hoarding, how to treat people who hoarded, how to let go of sentimental stuff (junk, let’s be honest here). I became a professional organizer. I joined NAPO. I read the books. And then I recently realized that a lot of people struggle with this. What is the difference between a collection, clutter and a hoard? How do I know if I’ve crossed a line? Does my junk room piled high with stuff I can’t part with mean that I’m a hoarder and need help? So I thought I would bring you all a little insight into the tools that professional organizers use to determine if someone has a hoarding disorder or just a little clutter. Professional organizers sometimes use a tool called The Clutter Hoarding Scale. It’s created by the Institute for Challenging Disorganization (They have a few amazing publications worth checking out). The Clutter-Hoarding Scale is like a color-coded ladder. Everyone can fit a a rung somewhere. Most people fall into the base level, Green. * There are only a small number of pets (within the local legal limits) and they are in a sanitary environment. * No evidence of non-pet critters. * Smoke detector, some plumbing and some electrical may not be fully functioning. * Pet odors and visible pet waste in the home. This is just an overview and in no way meant to be a full assessment. But I do hope that for a lot of you worried that you are hoarders, that it will give you some peace of mind. And for those of you dealing with hoarding in yourself or a loved one, I hope this helps to give some guidance. I went to a friend’s house after not seeing her for a few years. I was stunned. So much stuff. Everywhere. She told me she was collecting things to open a store so everything was organized by color and kept in bookcases, but there was so much. I thought it was just her house but later I saw her garage and 1/2 the garage was full with a large cover over the stuff she had collected. I suggested that since she had so much maybe she should have a booth at a fair and see if she could get a sense as to what people might pay for the things she had collected and items she had made. Her answer was a firm no. I think she has evolved into a very, very organized hoarder and because she is so organized doesn’t realized what has happened. Any thoughts? She does not fall into the categories listed. No dirt, smell, trash, or pets. It sounds like she might be falling into a hoarder category. Did she have any big life change before this started? Maybe a parent or other relative passed, a divorce, something like that? We’re Green, with borderline pests (totally not our fault – we have adjoining neighbours who have lower hygiene standards and have allowed mice, and because we share under floorboard space, we get the little pests showing up behind our dishwasher – we’ve taken all action to get rid). This is almost a defense mechanism, because MIL is Blue, with Yellow tendencies, and my husband is determined not to let our home get to the same level, ever. I am astonished to find myself in the green zone. One thing that’s helpful to me when I find myself overwhelmed with clutter is to group stuff by function: all books in one corner, all dishes in another, and so on so that I can see just how much stuff I’ve got in a particular category. That’ makes it easier for me to sort and prioritize, then let go of unneeded stuff. This can also help with items that have an emotional attachment; sometimes you can choose a few items with the most importance, then let the rest go to family and friends. Having memories scattered and disorganized makes it much harder to make decisions. Giving meaningful items away to people who also loved and valued your loved one can actually be therapeutic. My boyfriend’s mom stays, even after cleaning which entails shuffling stuff around into different piles, between the blue and yellow. There are far too many pet critters living there, constant disarray in everyroom. In order to reach their bedroom or my old one before I moved out, you had to walk down the hall that was half as wide as it should have been as well as covered in an average of 4-6 inches of packed down laundry. The loving room would on a rare occasion get vacuumed. If I did laundry for 2 weeks I could catch up on the hall and some of their room. The kitchen is always really gross. Rotting food, spills left on the counter, overflowing garbage, and mouse traps everywhere. There was always the sound of mice running through the walls and bats had long ago invaded the attic and were never removed. It’s usually gross unless everyone cleans all day and stays focused on cleaning. Nothing gets thrown away, just shuffled around so that we can all sit in the living room again. I thought I would be Yellow, but thankfully I’m Blue. In the past 5 years, my Aunt passed away, my Mother passed away, and now recently my partner. My house is overflowing with their things on top of my own clutter. It’s like everything has a little invisible tag on it with a memory attached. I can’t seem to let go of their things when I have lost so much already with their passing. Its like the memory alone isn’t enough for me, I want to touch and see and smell these items. How do you let go of things when you are still grieving their loss? I feel so overwhelmed and worried I’ll end up Yellow eventually. Kari- my heart breaks for you. That’s a tremendous amount of loss in a short period of time. My best advice for you is this: deal with your grief first. Have you met with a grief counselor? If not, google grief counselling in your area. A few years back, when my mother in law was dealing with the loss of her husband, I found a great community-based one that had group sessions once a week where you were grouped with people who were in similar situations. She went from being an absolute shut in who felt nobody could understand her, to having a whole circle of friends who had the same experience and understood those moments of loneliness. She was able to move on with her life without letting go of her husband. It just kind of got her “unstuck” for lack of a better term. And it was completely free because it was a local charity that specialized in this kind of thing. Secondarily, you might want to consider working with a professional organizer who has experience with similar situations. 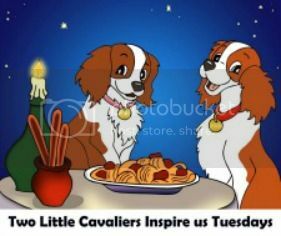 Dealing with just your own things can be overwhelming, but then adding 3 more treasured people’s possessions into that can make it nearly insurmountable by one person. You need somebody who not only understands your grief and how valuable all these possessions are to you, but also understands the psychology of loss and how that can lead to hoarding. You can find organizers in your area by doing a zip code search at NAPO.net (the National Association for Professional Organizers). Call around. Interview a few. Find out more about the process each one uses and the cost and then decide who you like and trust. If cost is an issue, don’t be embarrassed. Be up front about it. In my time as an organizer, I had no problem reducing or even waiving fees if necessary, and I’m sure that given your unique circumstances, there are probably many organizers that would be moved to do the same. I’m so sorry for your loss. I hope you come back some time and update me on your healing. I am also very sorry for your loss. Your story sounds just like mine! When I moved into my grandmothers old house after her passing, I had all of her stuff, her sons stuff that she had kept, (he was my favorite uncle) & my brothers stuff who had moved out of here. He moved away and couldn’t take everything with him. That was in 1985 and his stuff is still here. I also have all of my mothers stuff. Since my move into this house, when I lost my dad in 2008, I piled his stuff into my dinning room blocking off the back door. Last yr, my best friend past away. He left everything to me. His things took up half my living room and part of the kitchen.i couldn’t go thru his things w/o crying. It’s been 5 1/2 months and I’m in grief counseling. I’m doing much better but I can’t get rid of all these things. They are piled up in the spare room…..up to the ceiling. I’m ashamed for anyone to come to my house. I know I need help but I keep making excuses not to make that call. I do not think it is always hoarding when one has a bit of clutter. Interesting scale, tho I think it is indeed incomplete. I save a lot, but always with the idea that I can make something out of anything and having had not much to use, have gathered a great deal to share with others, to make things for others, to teach people to use what is considered throw-away for good. I have three crafts that fall into major gathering, fabric, (which includes quilts), scrapbooking-card making, and gardening… oops, forgot reading and research on certain topics (I have about 1000 books). Fortunately it is my garage that is full (a lot of hubby’s things are there too. I am a paper addict and that is my clutter. I cook for others, visit the sick, things like that and neglect some of the things I need to do, like wash windows more than twice a week. I used to do it once a month. My friend was a hoarder and when she was ill, I cleaned her house, garage…. it was the worst I ever saw. Darling lady, but could not let go of anything and could not keep it up. She had to know every piece of paper I tried to toss- IF she could part with it. Too many animals, loved garage sales and junk shops. Many things she used once and let them sit on the counter, floor, sink or tables. She settled for cooking and eating from broken pans and dishes- was ill a lot. She had money and did not need to live like this. Also was very intelligent, social and well respected- people did not know how she lived. I think some thought should be given to teaching people (starting with children, the value of time- do the work first then play. Put things away as soon as you are done with them, before you go to bed at least. Adults often pack so much into their days that they are so tired they cannot keep up with what needs to be done. Too many activities and interests to maintain. Bless you for all your efforts and your kind words toward those who are hoarders. Helping them can be very difficult. Pingback: Best of the Blogosphere #5 is LIVE! That show really opened my eyes too. I have a lot of clutter. I can’t seem to keep it picked up. I blame them men in my house. It can be really hard to keep things picked up with other people in the house. Whenever my husband goes on a trip, I always feel like everything is so much tidier! I am definitely a hoarder, but have been working on it lately! I have to admit I am somewhat of a hoarder but I do not think I have a full blown disease. No Iam not a HOARDER. I probably to fast to throw things out. I am in the green! I so have some mail, magazines, and my items that I need to review pile up, but the house is pretty much clutter free. Hi Eliza! Thank you so much for stopping by and commenting 🙂 Looking forward to the mag! Oh yes. I do believe I am somewhat of a hoarder. I tend to hang on to things much longer than necessary. Such an interesting post, thanks for sharing!! Hi Meg. Thanks so much for stopping by! This is a very informative post. I think i’m in the Blue-Green Category. I have kids, what can I say? I can’t believe this list has so many colorized categories. Wow, who knew they where so many levels of hoarding. Thanks for sharing at TGI Saturdays. Don’t forget to come party again with us this week. We’d love to have you. I will be linking to this article from a post I am publishing today called “Simplifying Life: Getting Rid of Unneeded Things.” Come check it out. Have a blessed day. Hi Latisha! Thanks so much for highlighting my post! I’m so honored! 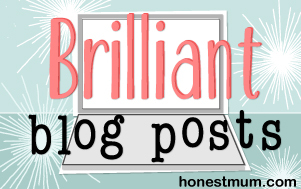 Pingback: Best of the Blogosphere Linky Party #5 - It's me, debcb! I am going to show this post to a certain relative who is very close to the red…..Thanks for the clarification on what exactly a hoarder is. Good luck Melissa! It can be really tough dealing with anyone above blue. Hi Joy! Isn’t the color scale neat? lol. I don’t think my husband hoards so much as he just brings home whatever and sets it down and never throws anything away. This was a really interesting post! At the start I was worried that I’d recognise myself from the top-end categories… As we do have a massive clutter problem which is much caused by me. Luckily I would only just about fall into the blue category for a couple of the signs (with no pets, critters or funky smells, though I hasten to add! :D). Hi John! Sounds like your upbringing made a huge impression on how you are as an adult. Hi Toni. It’s so fascinating how people can be so different based on brain chemistry. It’s a bit of a standing joke that we are a family of hoarders, but after reading your post I realize that we probably aren’t…The joke came about because it seems that it is a bit of a family trait to stock up on things…Foodstuff and things like shampoo, toothpaste and toilet rolls. Our cupboards and storage boxes are never empty, but it’s not like we have everything out on display either. My Mum and sister are the same too, stocking up when they see bargains too (wonder where we got it from?). It makes sense to stock up on toothpaste when it’s being sold 3 for the price of 2 ( I don’t plan to loose my teeth anytime soon!). I completely struggle with the stock-up thing. I love Costcos and Clearance Racks and have to constantly remind myself “do I really need this? Will it go on sale again?” or else I go way overboard. You’ve brought up a really good point that it is really tough these days to balance smart shopping with not having excess. wow interesting to read the different scales of it happy to be in the green category! This was a really interesting post! Thank you for sharing your personal story about your family, and all the different levels. It made me feel a bit better, to know that despite the fact I’m not obsessive about cleaning like I used to be, I’m still “normal” at the green level. 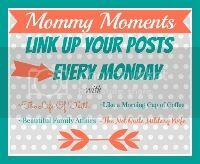 Thank you for linking up with us for the Best in the Blogosphere link up this week. Hope to see you back next week! This was totally fascinating to read. I used to be a foster care worker and had some dirty home cases that were definitely Red– it was horrible having to go into those homes, I never sat anywhere and constantly moved my feet or cockroaches would run across them. It truly is sad that some people live that way, but as you said those that do are suffering from so much more than just needing to clean their home. Hi Emmy! It is really sad. Bless you for helping with foster kids. I bet you saw a lot of sad situations for kiddos. This is great info! I was scared when I started reading that i was going to be really bad because I always have craft projects out and my daughters toys are always on the floors. but I guess I am not that bad lol. whew! What an interesting post. I always found those types of shows fascinating, but now that I have my own dog, I have a hard time watching anything about an animal hoarding situation. It just hits too close to home. I can definitely understand that. It’s so sad. I feel the same way about those abused dog commercials with Sarah Mclaughlin. They make me cry now. What kind of sweet doggy do you have? Phew I’m in the green, which surprises me because I have a hard time getting rid of things sometimes.Great Post thanks for sharing hope you have a great day! This was a fascinating post! I came out green but think I may be a little OCD the other way … I LOVE to organize. People always kid me because the spices in my pantry are in alphabetical order but, hey, it works for me! Very interesting to read each of the stages and then the comments from fellow bloggers. I’m kind of a neat freak for stuff like that, so I hear ya. I get ribbed by my friends for it too. oooo, I feel better now, I’m green! I am currently having a big pre moving sort out and was starting to think I kept too much. But all my exits are accessible and all rooms are used and usable. Phew! This was such a fabulous post! My family has borderline hoarding tendencies as do I. But, I never knew hoarding was associated with OCD. I struggle with a pretty bad case of OCD and what you said is true. If things become cluttered and out of order it turns into an incredibly overwhelming ordeal and 99% of the time it isn’t even that big of a “mess” to other people! I was extremely happy to find myself in the green area of the above chat as my garage is stuffed full of junk I began to obsess over whether or not I was turning into a hoarder just like you described yourself as doing. Thanks so much for sharing this information. 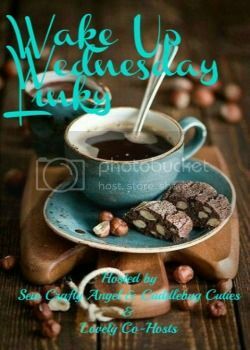 Please stop by later today and link-up this blog post on the Oh My Heartsie Girls Wordless Wednesday Link Party as I am co-hosting again this month and will be going live with it in a few hours! This post would be perfect to share with everyone that parties with us. Plus, we have a total of 18 co-hosts this month so that means 18 blogs your post will be seen on. What a great way to gain exposure! Hope to see you there! Hi Lysa! Thanks for stopping by and for your super sweet comments. I’m so glad that my post was helpful! My Dad is a hoarder. He has so much stuff it is unbelievable. In saying that though, his living conditions aren’t unhygienic – he just collects a lot of stuff. And by a lot, I mean shed loads! I understand the embarrassment factor and over the years have tried to steer clear from hoarding but I do hoard do a degree. I am in the blue range for one entrance being blocked (my laundry door) and for not having a functioning smoke alarm…Sometimes I have lazy cleaning days but I never leave it for more than a day, I couldn’t live like that! Clean house, clear mind. 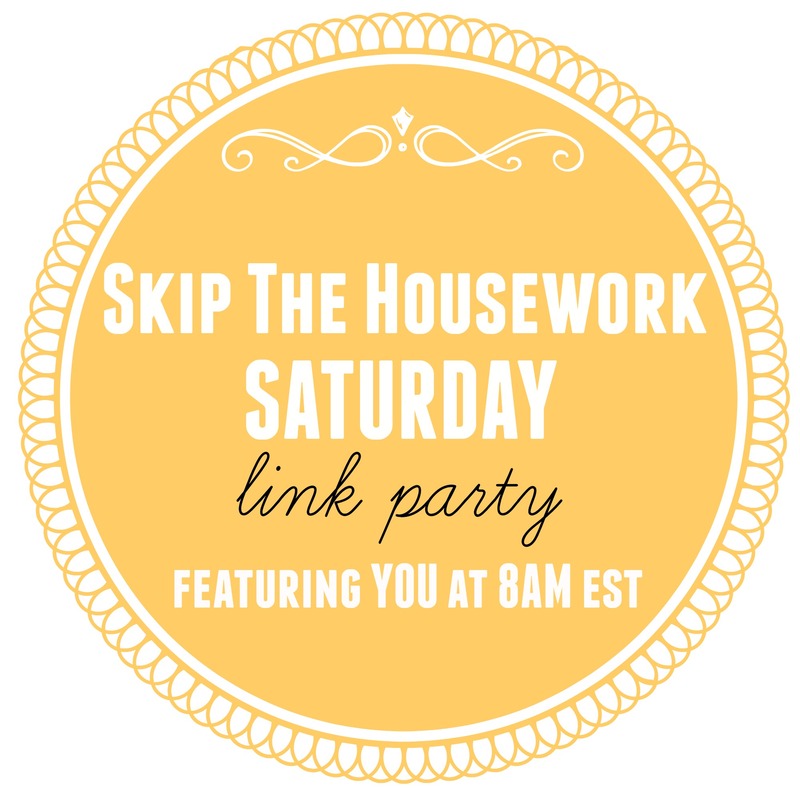 I found this post at TGI Saturdays Blog Hop over at Ask Latisha. Hi Kelly! Thanks for stopping by and for the comments! Not all hoarders will have every observation above. Like a hoarder that just collects everything paper, is probably not going to have the issues with appliances not working, or HVAC, etc. But they’re still hoarding. They still have a mental block not allowing them to let go. I grew up cluttered, but my high school best friend’s parents were hoarders. I’ve been fascinated by it ever since. I didn’t realize it was closely related to OCD. I always thought it was simply laziness/apathy. Hi Rachel! I grew up thinking it was laziness too. That’s the big misconception about it. I didn’t know there were levels for hoarding! I just thought there was hoarding and not hoarding. I knew there were stages, so to speak, where it’s a horrible messy and downright gross, versus organized and somewhat functional collection of stuff, but didn’t know there were actual names or anything associated with it! My aunt would probably be considered a hoarder, and while her home is functional, it does get (from time to time, and far too often) to a point where it’s just not a good home to be in. And on the other side of the spectrum is my mom, who has been diagnosed with OCD and has to have her things where she needs them to be. It can go both ways! Wow! Is your aunt your mom’s sister? They say OCD can run in families. I’m not quite sure (nor am I qualified to be) if it’s nature, nurture or a combination of both. It’s interesting that the OCD could be in their family but just manifesting in wildly different ways. Hi Dee! Ha! That’s a great takeaway. Maybe I’ll start saying that, “You know, I’m in the same league as June Cleaver” *giggle* I love it! I held my breath whilst reading this, then I went and mopped the floors. Hi Stella! Thanks for your comment! That made me feel wonderful, knowing that I’m not a hoarder, and by that list, I’m not even cluttered! Woot. Hi Marie! It feels pretty good, doesn’t it? I’m always surprised how many of us worry that we’re hoarders. Oh man… I was nervous, but I’m green. Except for this one “Clutter restricting some functions in key living areas”- I’m assuming a household with 3 kids sees this one pretty often 🙂 Great post! Me too! I’m green except the clutter and function, and the inconsistent housekeeping. Being gypsy Army wife, with 3 kiddos (2,4,6) and living in 900 Sq ft, our stuff gets piled, and is almost always in the way. Doesn’t cover entrances or walk areas, but is around one room’s parameter regularly. ALL gets gone through and taken care of, eventually. ..but not necessarily within 3 days. Lol. Now the concerning part: what’s in our storage unit. Oy! That’s a work in progress and anytime I’m feeling super down on myself for not being able to just get rid of x-y-z, I go to my aunt’s house. Her stuff is organized in groupings….groupings of things I would have no desire to keep. 15 fuzzy styrofoam cups- from extra leftovers at a gala, that were otherwise being thrown away- and their lids… taking up space in the pantry. An overflowing (how old is the food??) pantry that is no longer walk-in able. And two gallon ziplocks of to-go utensils from fast food places. An entire drawer full of empty key rings and those beaded adjustable chains. 18 file boxes full of “important” papers, from 1972 thru today. (Nothing extraordinary for the family to nend more than one file box of truly vital papers) Oh my word. Great information here (: thanks for the post. I hadn’t realized poor cleaning habits were considered hoarding. I thought it was mounds and mounds of collecting stuff. I guess if you can’t get to it to clean or fix things it’s more of a side effect or symptom of hoarding? Hi Jeannie. Good question. It’s not so much that poor cleaning habits are considered hoarding. It’s more of an observation that is made when hoarding behavior reaches a certain level. My understanding is this: Hoarding is closely tied to OCD. A lot of hoarders feel as though there has to be a certain way to do something (“I can’t clean the kitchen until I do the dishes. I can’t do the dishes until after dinner. Nobody else can do the dishes because they have to be washed and placed in the dishwasher in order”). This increases their anxiety and eventually, and feelings of being overwhelmed. When you watch the hoarding shows, you see a lot of that manifest in some of the hoarders being very possessive or controlling (“You can’t throw anything away until I see/touch it” or “I don’t want that guy helping because he doesn’t respect my stuff enough”). Those are statements that demonstrate a loss of control. For people in actual hoarding situations, all of this anxiety builds and eventually they feel helpless and they don’t know where to start. I think that’s mostly where the housekeeping and maintenance comes in. When you’re overwhelmed and not sure where to start with extreme clutter, housekeeping and maintenance are not going to be your top priority. Does that make sense kind of? And then yes, at some point, you just can’t get to things. If you can’t see the floor because you have piles of things on it, you aren’t vacuuming. If you can’t see the counter because it’s piled high with dishes, you aren’t cleaning your counters. It really is a struggle for a lot of people. There’s something psychological that goes on. We build these bigger houses now, and then we just fill them with stuff. We never needed all the stuff before, but when you have a space, you just fill it. It’s tough for anybody to break that cycle, but especially those with a diagnoseable condition. Fascinating. I didn’t know there was an actual scale for levels of clutter / hoarding. I’m also fascinated by the tv shows about hoarding but because I’m the opposite. I love to clean and purge, sometimes getting rid of things I later need. Hi Al. I find those tv shows to be highly motivating for cleaning and purging. It’s also a fascinating look into the human psyche. Great information on the different levels of hoarding! Having an aunt with a serious clutter problem and dealing with her problems for years (she’s now elderly and in assisted living, but we have moved all her “stuff” to multiple storage units), I’m happy to learn that I did not inherit her hoarding gene and am classified “green”! Such a relief to know that I’m far from it! I worry because I do keep sentimental stuff that’s hidden in closets doing nothing but collecting dust! Time to let those things go! 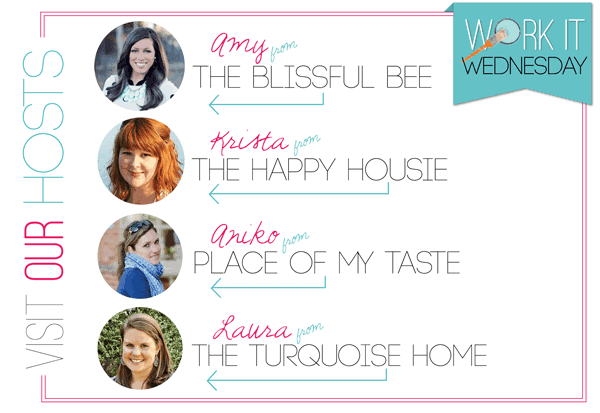 Visiting from Happiness is Homemade linky party! Good luck with your aunt. At least the items are in a storage until where you can kind of go through them on your own time, rather than living among it all. It’s always so discouraging when you’re trying to go through a massive amount of stuff and it seems like you haven’t gone anywhere. That’s a common feeling the items are still in the house. In a storage unit, it’s easier to feel the progress. I’m not a hoarder but I have a tough time letting go of sentimental items and some items really shouldn’t be considered “sentimental” but they are. Hi Jennifer! Thanks for the comments! Being attached to things is totally human and it actually says something about who you are. 🙂 It shows a very caring, sentimental side. This was really interesting! I was surprised (and happy) to see that I am in the green despite my piles of clutter and clothing here and there. Interesting! Didn’t know there were those levels. Hi, your post was really interesting. Like you, some members of my family are/were hoarders. Not to the extent that we see in the show, buy I remember when my grandfather died we had to remove a lot of things from his house that could be considered trash. According to your colour scale, we are in the green, but I admit I’m not happy with the status of our house, so I have made decluttering my goal for 2015. I want to end the year with a cleaner, leaner house. It will never be magazine cover quality, not with two kids, but I’m realising that I have a lot of stuff in my closets that has been unused for a long time and all that has to go. 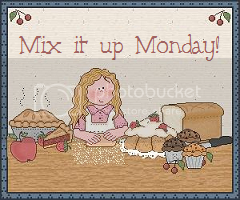 Anyway, thank you for sharing and have a wonderful week! He Teresa! I’ve noticed hoarding to be a problem in senior populations. I think a lot of it is our WW1 and WW2 babies who were raised where all possessions are precious. If you think of the resourcefulness that was required when the country had shortages of nylon, metal, sugar, etc. then you can see the different mindset. You don’t simply let things go. It all has a value.